The Argentinian Criminal Code (ACC) is the main legislation governing and penalising behaviours related to bribery and corruption. The legal framework regulating domestic and foreign bribery is set out in Sections 256 to 259 of the ACC. The recently enacted Law No. 27,401 (the Corporate Criminal Liability Law) has amended the ACC and established that, as of 1 March 2018, legal entities can be criminally liable for corruption-related offences. As of that date, both individuals and legal entities can be held criminally, civilly and administratively liable for bribing foreign and domestic public officials. Note also that before the Corporate Criminal Liability Law was enacted, corporate criminal liability had already been established in the country for other offences, such as money laundering (Sections 303 and 304 ACC), terrorist-financing offences (Section 306 ACC), insider trading (Sections 307, 308 and 313 ACC), manipulation of financial markets and misleading offers (Sections 309 and 313 ACC), financial intermediation (Sections 310 and 313 ACC), financial fraud (Sections 311 and 313 ACC), financial bribery (Sections 312 and 313 ACC), tax offences (Law No. 24,769 amended by Law No. 26,735, Section 14), customs offences (Law No. 22,415, Section 887), currency-exchange offences (Law No. 19,359, Section 2f) and antitrust offences (Law No. 27,442), and also by the law on 'supply' (Law No. 20,680 amended by Law No. 26,991, Section 8). Domestic bribery, or the bribery of an Argentinian government official is covered by Section 258 of the ACC, which establishes that any person who, personally or through an intermediary, gives or offers money or any gift for the purpose of soliciting a public official2 to carry out, delay or not do something in relation to his or her duties shall be punished with imprisonment of one to six years. make unlawful use of his or her influence with a public official, with the purpose of having the official carry out, delay or not do something in relation to his or her duties, shall be punished with imprisonment of one to six years and special disqualification from holding public office for life. If money or a gift is given or offered to a public official with the purpose of soliciting the conduct described in Section 256 bis, Paragraph 2 and Section 257, as mentioned above, the punishment shall be imprisonment of two to six years. If the perpetrator is a public official, special disqualification of two to six years shall also be imposed in the first case, and disqualification of three to 10 years in the second case. Additionally, a fine of up to 90,000 Argentinian pesos can be imposed where an offence is committed 'with the aim of monetary gain' (Section 22 bis ACC). Furthermore, according to Argentinian legislation, facilitating payments are characterised as a bribery offence under the ACC. There are no safe harbours or exemptions, as 'grease' payments (for routine government actions) are not allowed. Pursuant to Law No. 25,188 (the Public Ethics Law), public officers are forbidden from receiving presents, gifts, donations, benefits or gratuities, whether things, services or goods, 'as a result of their work or in the performance of their public duties'. However, the prohibition does not apply in cases of 'courtesy gifts' and 'gifts offered as diplomatic practice'. Currently, the offence of bribery does not apply to bribery between private individuals; it is only applicable when government officials and employees are involved. The exception to this concerns the recent introduction of an offence of bribery for employees or officials of financial institutions (Section 312 ACC). This provides that employees of financial institutions and entities operating in the stock exchange shall be punished from one to six years and special disqualification of up to six years if they personally, or through an intermediary, receive money or any other benefit as a condition to provide loans, finance or stock exchange transactions. A draft reform of the Criminal Code is being considered, which addresses bribery between private individuals. In addition, under the terms of Section 173, Subsection 7 of the ACC, any person who, under the law, by authority or contract, is vested with the management, administration or care of goods or pecuniary interests belonging to another person and, with the purpose of obtaining an unlawful gain for himself or herself or a third party, or violating his or her duties, damages the interests conferred upon him or her or incurs excessive expenses to the detriment of the person he or she represents shall be punished with imprisonment of one to six years. Finally, note that public officials can participate in commercial activities if there is no conflict of interest, as provided in the Public Ethics Law. Section 13 sets out certain activities incompatible with the exercise of public functions. However, certain public officials included in the scope of the Ministries Law3 (such as the head of the cabinet, ministers, secretaries and undersecretaries) and judges (pursuant to the National Justice Regulation, Section 8) can only engage in teaching activities during their tenure. The Federal Court on Criminal and Correctional Matters is the competent court in bribery and corruption matters concerning public officials at the federal level, and the national Constitution provides a special mechanism for the removal and prosecution of certain officials and judges (impeachment). Federal judges are assigned to conduct bribery and corruption investigations, and have broad powers under the Criminal Procedure Code (CPC), including requesting reports from both public and private agencies, and ordering numerous procedural and precautionary measures aimed at avoiding and preventing obstruction of investigations and the escape of criminals. All national and provincial police forces are at the disposal of the federal judiciary as court assistants, to perform, execute and comply with its orders. The authority of a federal judge is limited geographically to Argentina. In practice, the local authorities and judiciary cooperate with overseas regulators. Certain government individuals have certain privileges and may be required to sign written reports in order not to testify as witnesses. This applies to the President and Vice President, provincial governors, mayor of the city of Buenos Aires, national and provincial ministers and legislators, members of the judiciary and provinces, diplomatic ministers and general consuls, and senior officers of the armed forces (Section 250 CPC). the Office of the Prosecutor for Economic Crime and Money Laundering (PROCELAC), a unit within the Attorney General's Office (AGO), is designed to combat money laundering and other economic crimes. PROCELAC has six operational areas: money laundering and terrorist financing; economic and banking fraud; capital markets; tax crimes and smuggling; crimes against public administration; and bankruptcy. the purpose of having that official undertake or not undertake an act related to his or her office or to use the influence derived from the office he or she holds in an economic, financial or commercial transaction. aggravated offences of counterfeiting of balance sheets. publication of an extract from the conviction at the expense of the legal entity. Additionally, the law also sets out independence-of-action criteria, subject to which legal entities may be convicted even if it is not possible to identify or convict the individual involved in the crime, provided that the circumstances of the case establish that the crime could not have been committed without the knowledge of the authorities of the legal entity. return the undue benefit obtained through the offence. Note that the law requires that these grounds are met simultaneously. If they are not, then the occurrence of one or more of them may still be held as grounds to be taken into consideration for penalty adjustment. Also, in relation to item (b) above, companies are not legally required to implement any specific anti-corruption control policies or procedures, except when entering into certain contracts with the federal government.5 Notwithstanding this, the Corporate Criminal Liability Law encourages and stipulates the possibility of legal entities implementing compliance programmes. These must consist in actions, mechanisms and internal proceedings for the promotion of integrity, supervision and control focused on the prevention, detection and correction of irregularities and unlawful acts (a compliance programme). These are of material importance considering that one of the requisites for a legal entity to be granted an exemption from the penalties provided in the Corporate Criminal Liability Law is the existence of an adequate compliance programme. This Law includes among other things, plea bargains in anti-corruption investigations. In this regard, Section 16 of the Corporate Criminal Liability Law describes a new mechanism known as an effective cooperation agreement (ECA). The AGO and a legal entity can enter into an ECA,whereby the entity is obliged to cooperate through the disclosure of information or precise, useful and verifiable data for the clarification of facts, identification of authors or participants, and recovery of the proceeds of the crime. the surrender to the state of the assets that would presumably be confiscated following a conviction. implementation of an integrity programme or of improvements to the existing programme. The ECA must be signed by the legal representative of the entity, the defence counsel and the representative of the AGO, and must be submitted to the judge, who evaluates the legality or reasonability of the agreed conditions and decides whether to sustain or overrule the ECA. If the ECA does not succeed or is overruled by the judge, the entity's information and supporting evidence from the negotiation would be returned, including all copies of documents. The use of this information and documentation for the determination of liability of the entity would be banned, unless the AGO had independent knowledge of it or could have obtained such knowledge in the course of an existing investigation prior to the agreement. Lastly, Argentinian law prohibits bribery payments through intermediaries or third parties: the offence of bribery of a foreign public official may be committed either directly or indirectly (Section 258 bis ACC). In addition, Section 45 of the ACC stipulates that the following would be subject to the same penalty as that imposed on the perpetrator: (1) a person who takes part in the commission of a criminal act; (2) a person who provides assistance or cooperation without which the offence could not have been committed; and (3) a person who directly abets another to commit a criminal act. Pursuant to Section 46, the following are punishable with a reduced penalty (by one-third to one-half): (1) a person who cooperates in the commission of a criminal act in ways other than those mentioned in Section 45 of the ACC; and (2) a person who gives assistance because of a previous promise. the regulations issued by local commercial registries. Further to the books and record-keeping regulations stated above, the CNV, commercial registries and professional associations can impose administrative and disciplinary sanctions on wrongdoers. In addition, as well as dealing with the bribery offence itself, Section 300(2) of the ACC stipulates a sanction of imprisonment of six months to two years for the founder, director, trustee, liquidator or receiver of a corporation or cooperative or of any other legal person who knowingly publishes, certifies or authorises either a false or incomplete inventory, balance sheet, profit-and-loss account or related reports on any event material to the assessment of the company's financial position, whatever the purpose sought. Law No. 25,246 was enacted in 2000 to regulate for the first time both criminal money laundering and terrorism-financing offences within the scope of anti-money laundering provisions and the ACC. This Law has been amended several times, most importantly in 2011 by Law No. 26,683, which, as well as several changes to anti-money laundering provisions, added a new chapter to the ACC called 'Crimes against the Economic and Financial Order', which includes money laundering, among other financial crimes. As regards money laundering, Section 303 of the ACC states that the offence of money laundering shall be committed when a person: 'converts, transfers, administrates, sells, encumbers, disguises or in any other way introduces into the market assets which proceed from a criminally illicit act, with the possible consequence that the original or subsequent assets acquire the appearance of having legal origin'. This Section also penalises the person who receives money or other assets from the commission of a crime to use them in any of the above-mentioned transactions. Section 304 of the ACC, in turn, stilpulates specific sanctions for cases in which money laundering was committed on behalf of, with the intervention of or for the benefit of a legal entity. As for anti-money laundering, Law No. 25,246, as amended, sets out a list of 'compelled subjects' (which includes both public and private entities, as well as natural persons) that are obliged, among other duties, to report suspicious activity to the Financial Information Unit (FIU). They must also adhere to know-your-customer and no-tipping-off obligations. The following are notable cases mentioned in the 2014 OECD Working Group Report: River Dredging; Power Project (Philippines); Undeclared Cash (Venezuela); Gas Plant (Bolivia); Inter-American Development Bank Debarment (Honduras); Oil Refinery (Brazil); Agribusiness Firms (Venezuela); Grain Export (Venezuela); Military Horses (Bolivia); Oil Sector Construction (Brazil). The Tax Collection (Guatemala) and Electricity Transmission (Brazil) cases, among others, are also mentioned in the 2017 OECD Working Group Report. the United Nations Convention against Transnational Organized Crime of 2002 (approved by Law No. 25,632); andthe United Nations Convention against Corruption (UNCAC) of 2006 (approved by Law No. 26,097). Furthermore, Argentina is a full member of both the Financial Action Task Force and the Financial Action Task Force of Latin America. In addition, the FIU is a member of the Egmont Group. In August 2018, the House of Senators preliminarily approved a bill on the extinction of domain, which is still pending confirmation from the House of Representatives. The term 'extinction of domain' refers to the seizure by the state of criminally attained assets. This law aims to dismantle corruption and illicit wealth in Argentina by targeting funds and assets gained illegally through a catalogue of crimes related to drug trafficking, terrorism, human trafficking, corruption, money laundering and financing of terrorism. Furthermore, the current administration is also sponsoring a new public ethics law, which would entail several changes to the current system; this law is aimed at preventing public officials from taking advantage of public office to make a profit personally or through family members. Regarding criminal law and criminal procedural law, criminal cases must be subject to criminal prosecution and cannot be resolved through settlements or plea agreements, as in the United States. According to Section 71 of the ACC, prosecutors are not allowed discretion other than that permitted by criminal procedural law. In this regard, Section 431 bis of the CPC provides for abbreviated trials in cases where the prosecution and defence reach an agreement about guilt and sentence at the beginning of the oral trial phase, provided that the requested penalty does not exceed six years' imprisonment, and the defence accepts the charges and agrees to conduct the proceedings in this manner. This is similar to the leniency programme established by Law No. 27,304, which sanctions, among other things, plea bargains in anti-corruption investigations. The defendant cannot avoid trial but the sentence of imprisonment may be reduced by up to 15 years. It is stated in Section 76 bis of the ACC that suspension of trial testing may be requested by anybody convicted of a crime prosecutable ex officio with imprisonment for a maximum of three years. The request for the suspension of trial does not imply the confession of the crime or admission of the defendant's civil liability. However, whistle-blower reports of potential illegal conduct to government authorities are not common. There is no specific protection and the authorities do not yet provide incentive programmes for whistle-blowers to come forward. However, despite the lack of specific regulations, many companies have established mechanisms, as well as hotlines, to allow whistle-blowing. The CNV's regulations require that issuing companies set up a corporate governance code, which should encourage business ethics within the company. The corporate governance code should include, among other things, the description of reporting mechanisms for employees, whether via personal or electronic means, 'ensuring that information transmitted meets high standards of confidentiality and integrity'. The CNV's regulations do not require protection from retaliation. However, a legal system of witness protection is available, which is regulated by the National Programme for Witness and Suspect Protection created by Law No. 25,764. The system is intended for the protection of witnesses and defendants who have made an outstanding contribution to a judicial investigation under federal jurisdiction and are therefore in a risky situation. This may include investigations into: (1) drug trafficking; (2) kidnapping and terrorism; (3) crimes against humanity committed between 1976 and 1983; and (4) human trafficking. This system does not reduce penalties, except in the case of crimes regulated by the Law of Narcotics No. 23,737, where cooperation can reduce penalties by up to one-half of the minimum, or even exempt the defendant from penalties when, during the conduct or before the start of the proceedings, the defendant either: (1) reveals the identity of the participants in the crime; or (2) provides information enabling the authorities to seize drugs, raw materials and other objects of the crime. In addition, Law No. 25,241 sets out reduction of penalties for whomever contributes to the investigation of terrorist actions and money laundering (committed by individuals other than public officers). Witness protection is more limited than whistle-blower protection as it does not offer protection from workplace reprisals. The Labour Contract Law addresses unjust dismissal but not other forms of reprisal. individuals or legal entities included on the lists of debarred persons of the World Bank or the Inter-American Development Bank as a result of corrupt practices referred to in the OECD Convention – these are ineligible for as long as they are included on the lists. Other examples of laws affecting the response to corruption in Argentina are the recently issued Decree No. 1246/2016, which explicitly prohibits the deductibility of bribes in the Argentinian Income Tax Law, and the Decrees Nos. 201 and 202 of 2017, regarding conflicts of interest with public officials. the performance of regular compliance programme training for directors, managers and employees. Furthermore, the Corporate Criminal Liability Law also provides guidelines as to the elements that constitute a robust compliance programme, although implementation of such a programme remains strictly optional: (1) periodic risk analysis and consequent amendment of the programme; (2) evident and clear support for the programme by top management; (3) internal reporting channels open to third parties and promoted appropriately; (4) a policy protecting whistle-blowers from retaliation; (5) an internal investigation mechanism that respects the rights of those under investigation and imposes sanctions for violations of the code of ethics; (6) background checks on relevant third parties or business partners, including suppliers, distributors, service providers, agents and intermediaries, when contracting their services; (7) due diligence during M&A transactions, to evaluate potential illegal actions or vulnerabilities in the legal entities involved; (8) continuous monitoring and evaluation of the compliance programme's effectiveness; (9) an internal compliance officer in charge of developing, coordinating and supervising the compliance programme; and (10) compliance with the regulations applicable to these programmes issued by the federal, provincial, municipal or communal authorities with legal oversight over the activities developed by the legal entity. In principle, judges and courts should consider the aggravating or mitigating circumstances specifically related to each case. They should take into account: (1) the nature of the unlawful action, the means used to execute it and the extent of damage and danger caused; and (2) the age, education, customs and the previous behaviour of the defendants, the motives that led them to commit the crimes, the degree of participation, whether they are recidivists, personal circumstances and the circumstances of time, place, manner and occasion to determine the threat posed by the individual. In contrast to the Corporate Criminal Liability Law, anti-money laundering legislation requires covered institutions to implement anti-money laundering and counterterrorist financing compliance programmes containing measures and policies to prevent money laundering and terrorism financing according to specific resolutions for each class of compelled subjects (including both public and private entities, as well as natural persons), which, among other duties, are obliged to inform the FIU of suspicious operations. As regards anti-money laundering and criminal tax law, Sections 304 and 313 of the ACC and Section 14 of the Criminal Tax Law stipulate that judges may grade these punishments taking into account failures to comply with internal rules and procedures; lack of vigilance over the activity of perpetrators and accomplices; the extent of the harm caused; the amount of money involved in the perpetration of the crime; and the size, nature and economic capacity of the legal person. In addition, the punishments in Subsection 2 (temporary or total suspension of activities) and Subsection 4 (cancellation of the legal entity) should not be imposed if the actions were indispensable to keep the entity or public works or a specific service operational. Notwithstanding this, the existence of a compliance programme could serve as a defence against criminal charges or mitigate the penalty, depending on the particular circumstances of the case. In December 2015, the Argentinian government changed. The new administration has promised to make the fight against corruption one of its main political goals. In addition, legal persons and their officers and directors are subject to increased scrutiny and prosecution by Argentinian regulators and law enforcement agencies empowered to investigate and prosecute corporate wrongdoing. As of March 2018, a criminal liability regime for legal entities has been enacted, which has settled an outstanding debt Argentina had in relation to its anti-corruption legislation. Furthermore, there has been a renewed effort for the prosecution of corruption cases, mostly linked to the former administration, and with a particularly effective use of plea-bargaining. Against this backdrop of renewed efforts to tackle corruption, a huge scandal has emerged, named the 'notebook scandal' by the press, and believed to be the Argentinian equivalent of Brazil's Operation Car Wash. Among other matters, it involves bribery payments to high-ranking public officials under the Kirchner administration for the award of public construction works contracts. Because of its magnitude and the effective use of plea-bargaining by both former senior public officials and owners, directors and managers of high-profile companies, the investigation and its possible outcome are unprecedented in terms of scale and potential impact. 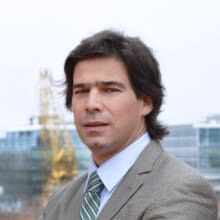 Given these developments, it will be interesting to monitor the implementation and enforcement of the new corporate criminal liability regime for legal entities and the outcome of the ongoing high-stake judicial proceedings, all of which have potentially ground-breaking implications for the anti-corruption environment in Argentina. 1 Maximiliano D'Auro and Manuel Beccar Varela are partners, Francisco Zavalía and Virginia Frangella are senior associates and Francisco Grosso is an associate at Beccar Varela. 2 Section 77 of the ACC provides the definition of the terms 'public official' and 'public employee' as 'any person who temporarily or permanently discharges public functions, whether as a result of popular election or appointment by the competent authority'. 4 The definition of 'foreign public official' or public official of any territorial entity recognised by Argentina is provided in Section 258 bis of the ACC as 'any person who has been designated or elected to perform a public function, in any of its levels or territorial divisions of government, or in any class of a body, agency or public company in which the foreign state exercises a direct or indirect influence'. 5 Under Decree No. 277/2018, any public works contract requiring ministry-level approval requires the relevant legal entity to certify it has an existing compliance programme in place to mitigate the risk of bribery and corruption. 6 Law No. 19,550 and Law No. 24,156 respectively.